Egyptian Chronicles: And We Have Got a PM At Last !! And We Have Got a PM At Last !! At last we have a PM in Egypt. Interim Adli Mansour appointed Liberal prominent economist Hazem Al Beblawi after hard labor to get an interim prime minister. Already I wonder why Al Nour Party reject Mohamed ElBaradei and Ziad Bahaa El Din as prime ministers Egyptian Social Democratic Party. The Salafists were requesting a non partisan figure. I do not understand the Shift in their opinion. and accepted Dr. El Beblawi. 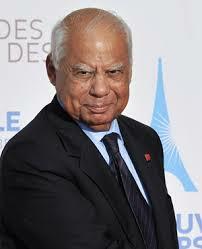 He is liberal last time checked and like Bahaa El Din he is co-founder of the Egyptian social Democratic Party. A quick look to the bio of the 1936 born liberal economist will make you wonder why Egypt did not hire him earlier as PM. Well from what the former minister in Essam Sharaf’s cabinet after 25 January revolution refused all the offers from Mubarak and his regime. It is worth to mention that the Freedom and Justice Party website is using an op-ed for him where he said that he would vote for Gamal Mubarak to prove that he is bad. Ironically and sadly enough no one bothered to read his 2010 Op-ed where he actually slammed Gamal Mubarak reaching to the conclusion that he would not vote for him. Of course it is worth to mention that the MB leading figures including the former president himself had similar quotes praising Mubarak, his son and the NDP icons in the media. Appointing El Beblawi was not the only thing Adly Mansour did today, aside from meetings with revolutionary youth political figures to discuss the Constitutional declaration , he appointed Mohamed ElBaradei his vice President for foreign affairs and democratic transition. Mahmoud Badr of Tamaroud revealed that El Bob does not want to be a PM and preferred an economist to be the PM of Egypt now where as he would responsible for the political transition file. Anyhow there is a new saga facing El Beblawi or rather Mansour to form a technocrat cabinet in Egypt.Mansour already got more powers than El Beblawi according to the new Constitutional declaration. That Constitutional declaration has been rejected by several political groups like the NSF and Tamaroud. Supposedly it will be amended this week. We will see. On the other hand some Egyptians , few began to discuss the man’s economic polices and thoughts. The Leftists consider him a neoliberal who will not have the social justice goal of the revolution in front of his eyes. Well I am afraid he has to put it in front of his eyes because if no social justice polices are adopted sooner we will have hunger revolution. "Interim President Mohamed Morsi"... excuse me, shouldn't it be "Interim President Adli Mansour"? I didn't believe anymore that the Salafists would approve of any liberal PM. But it gives us hope, that they did. News say he offered the MB to be part in his cabinet. So his goal probably is not a technocrat cabinet, but a cabinet of all parties. Of course the MB will turn his offer down, I suppose, but in quiet they will think and talk about it, and maybe this can diminish the number of hardliners in the MB a little bit.